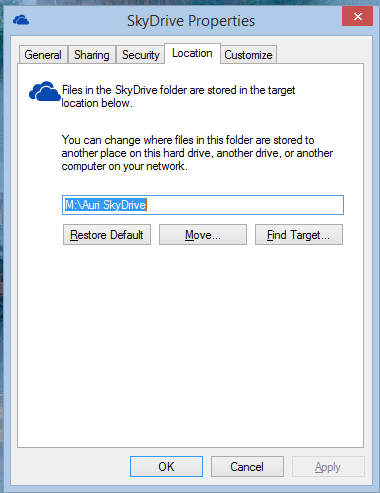 In an earlier post, I pointed to permissions issues causing SkyDrive to stop syncing. I found another solution that also appears to have worked, causing SkyDrive to sync again. Try moving your SkyDrive folder to another location, such as another drive, an SD card you never remove, or other similar area. I suggest a permanent location, not one you unplug and might forget to re-attach I don’t know how long my fix will last this time, but try it and let me know. 1. 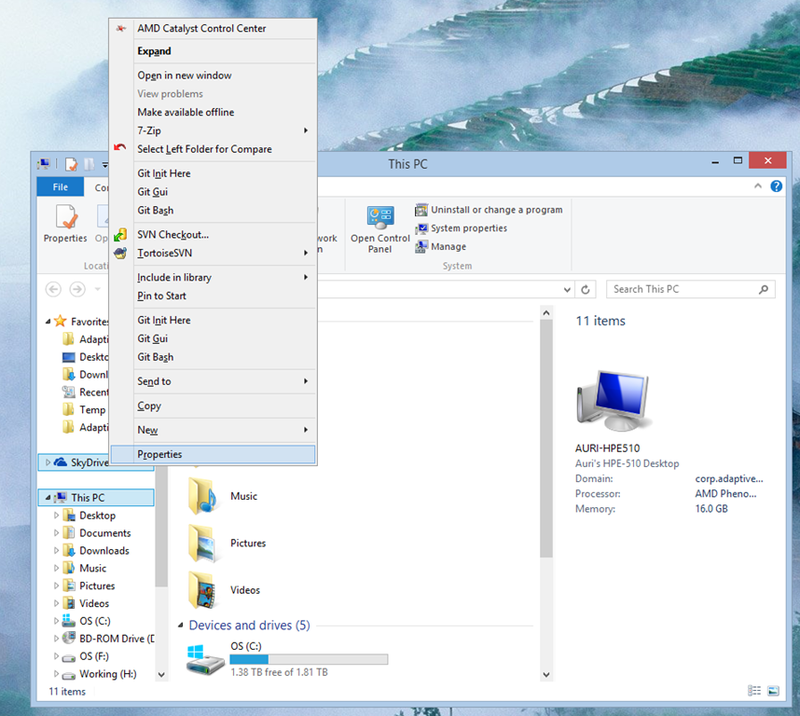 In Windows Explorer, right-click SkyDrive and select Properties. 2. When SkyDrive Properties appears, select the Location tab and click Move. 3. Choose the folder to move your files to. I called mine Auri’s SkyDrive and put it on my M: drive. Make sure you have plenty of room for your files! This will not trigger a download of all your files. However, you want to have enough room that the copy of existing files doesn’t fail. 4. Click Apply and wait a while. The window may freeze while Windows does its work. On a side note, if any Microsoft engineers are listening, this would be a great place to enhance the user experience. For example, a please wait indicator. 5. Once Windows has copied all the files to the new location, wait a while for Windows to sync, maybe a day. By then, your files may be back in sync and all will be good in the world. I don’t own a Windows Phone so I’m not sure. Are you sure it’s not open in any browsers or other machines? Is it editable on other machines? You could also try deleting the hidden lock file Excel generates.